Zoom: This is brilliant for hosting and recording video calls with clients, group calls with more than two participants, break out rooms on video calls. You can also host webinars, share documents and do cross platform messaging. I use their free version and find it really reliable. HelloSign: This allows me to upload client contracts, invite clients to view and comment and then sign them online. It saves lots of scanning and back and forward about terms and conditions. I use the free version. Acuity Scheduling: Great for setting my calendar availability and allowing clients to select their preferred day and time. You can brand it, set up autoresponders and reminders for appointments, attach pre call questionnaires, embed your calendar into your website, sync with accounting software and mailing list providers, accept payments, offer coupons and so much more. I use their most basic plan. Canva: Easy to use design software that enables even a beginner to produce stunning, on brand designs. It has drag and drop functionality and millions of images, photos, fonts, filters, icons, shapes and designs to choose from. It is preloaded with the optimal sizes for all social media graphics. There is a free trial and it is well worth having a go with. Tailwind: Must have tool if you use Instagram and/or Pinterest for social media marketing. You can use it to discover content, schedule posts, monitor conversations, amplify your reach and analyse your results. My favourite features are being able to schedule multi-board pinning and also how it automatically optimises my pinning schedules based on when my audience is most active. My friends who use it for Instagram love the way it suggests the best Instagram hashtags. It is also a recognised partner of Pinterest. They offer a free trial. Meet Edgar: This is a social media management tool that allows you to schedule social media content for Facebook, Twitter and LinkedIn as well as automating re-sharing of posts. This increases your traffic and engagement. You can also populate a library of saved updates and then auto-refill from there. In other words you can increase your presence on these platforms but decrease the amount of time you are on there, freeing up time to do the fun stuff. Email Marketing Platform: If i had a pound for everytime someone told me the money is in your list when I was starting out then I would have, well a lot of money, but they are actually bang on. You have total control over your own list and you will need an email marketing system with automation to handle sign ups and subsequent emails. I use MailChimp as I like the functionality but there are others out there such as InfusionSoft and ConvertKit. It is worth shopping around and seeing what will suit you and your business. Most provide analytics, ability to brand your emails, multiple lists, double opt-in and additional features such as landing pages, CRM systems and more. Creative Market: An online market for hand created designs from independent creatives. You can buy individual visual elements to help bring your brand alive. Categories include photos, fonts, patterns, textures, web elements, themes and much more. Google Docs: This is a web based program which allows you to create, edit and share documents (spreadsheets, presentations, word documents and more). It saves it in real time so it is virtually impossible to lose your work and you can edit a document at the same time as someone else. Great way to collaborate and provide feedback on documents remotely. Momentum Dash: Momentum is a personal dashboard designed to eliminate distraction and provide inspiration, focus, and productivity. You download it to your web browser and everytime you open a new window or tab you get an inspirational picture, quote, weather, focus for the day (which you set in the morning) and an editable To Do list which you can categories for different areas of your life and business. It has allowed me to organise my tasks and get rid of scrappy pieces of paper. I paid for plus version but the free one is great as well. Unroll - This allows you to see a list of all the email subscriptions you have and easily unsubscribe. You can only unsubscribe from 5 a day but you also have the option of rounding them up into a daily digest. Great for reducing the quantities of emails you get and decreasing your overwhelm. Web Archive - This allows you to timehop through the internet spying on competitors and inspirational brands. It shows you a picture of their websites at various points through time so you can see the humble beginnings of the brands you love. Great cure for comparisonitis, ensuring you are not comparing your day one to their day 500. 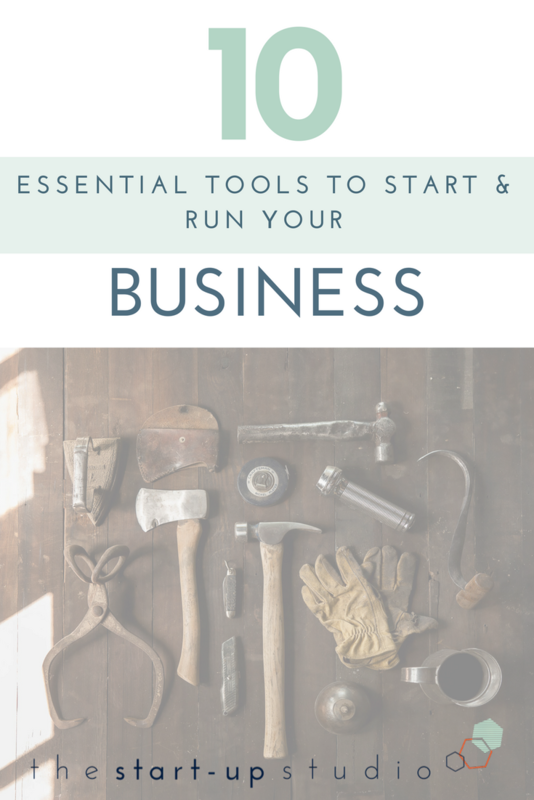 What are your favourite business tools? Comment below and let me know.